​The Toronto Maple Leafs aren't afraid to throw money around, especially when it involves their home-grown talent. When Toronto took ​Auston Matthews with the No. 1 overall pick in the 2016 NHL Draft, they essentially made a promise to their fans to commit to contend. After signing John Tavares this offseason, the Leafs are ensuring they form a ​one-two punch for years to come. Toronto and Matthews have agreed to a huge extension worth over $11 million per year. 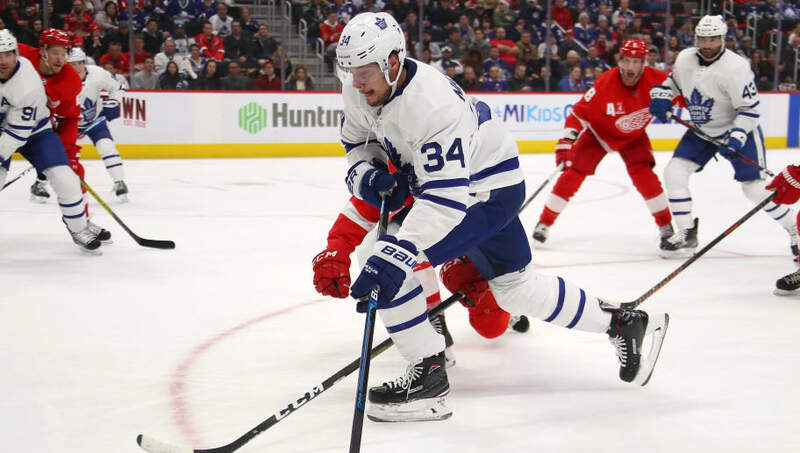 ​​Matthews contract has long-term implications for fellow Leafs start Mitch Marner, but for now Kyle Dubas can celebrate having one of the best generational talents in the game locked up for the foreseeable future. Since entering the league in 2016, Matthews has tallied 178 points in 182 games. His nearly one point per game ratio is incredibly impressive for a player his age, and should only increase with experience. Matthews is already one of the best American-born players in the NHL, and this contract should only add to his persona as one of the future faces of the league. The Auston Matthews extension announcement will be made official any time now. Five years, probably around $11.6M AAV. It's been a busy week for the Leafs, as they recently traded for former Kings star defenseman Jake Muzzin. With Matthews contract talks now behind them, it's Cup or bust in Toronto.